A three storey modern four double bedroom property with off-road parking and garden. Being arranged over three floors and offering light and spacious accommodation. To the ground floor is an entrance hallway, cloakroom, kitchen/dining room with built in oven and hob and lounge with French doors opening into the garden. To the first floor are two bedrooms with built in wardrobes and one having en-suite shower as well as family bathroom. On the second floor are a further two bedrooms with wardrobes and again one bedroom benefiting from en-suite shower room. 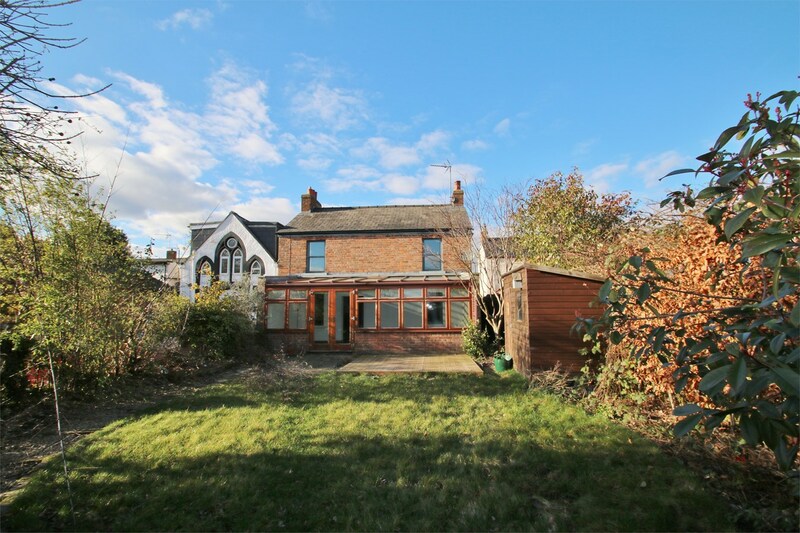 The property also enjoys an enclosed garden, off-road parking, gas central heating and UPVC double glazing. Positioned on the northern fringe of the Royal Forest of Dean, an area of outstanding Natural Beauty, Mitcheldean is a thriving community with fantastic local amenities and employment. Woodland View offers family homes in a glorious countryside setting that combines a thriving town with Ofsted outstanding secondary school and rural perks. Conveniently located on the A4136 Woodland View is minutes from the village centre and its vast facilities. The development comprises a mixture of terraced, semi-detached and detached 2 to 5 bedroom homes set in beautifully landscaped surroundings. Ideally located in countryside and surrounded by greenery, Woodland View is easily accessible to the M5 and M4. Commuting from Mitcheldean is quicker than you might think, with a 25 minute drive away from Gloucester, 35 minutes from Cheltenham and only an hour away from Bristol. Mitcheldean also has regular buses running, 7 days a week. From the centre of Mitcheldean head towards Gloucester. Proceed all the way to the mini roundabout and then turn left. Continue for a short distance before turning left into Vicarage Drive, follow the road around to the left and the property can be found on your left hand side.